France’s Defense Minister Jean-Yves Le Drian said today that the country would send an additional one thousand troops to Central African Republic, which the UN warns is rapidly descending into chaos. As in Mali, the stated aim of this force, which roughly triples the size of French force deployed to CAR, is to immediately improve the security situation before the planned deployment of an African-led force to the country in six months. Currently, just over four hundred French troops are deployed to CAR, along with African peacekeapers assigned to the African-led International Support Mission in the CAR (MISCA). The UN expects to transition MISCA into a UN-led force, with a strength of six thousand military personnel and almost two thousand police personnel, next year. This is again similar to the model used in Mali, where an African-led force transitioned to a UN-led force this summer. France’s established position in Africa, including its permanent basing of military forces there, has led it to take a leading role in a number of interventions on the continent recently, most notably its operation in Mali, which began in January with significant US support. 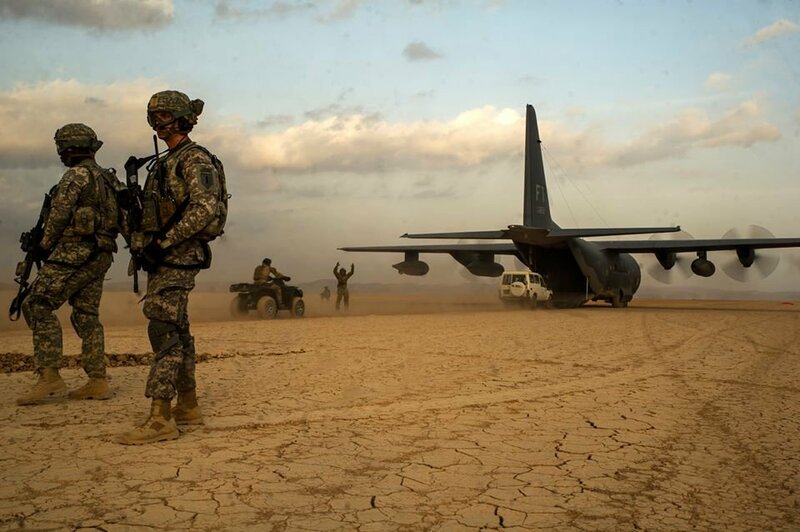 In Mali, however, the French have had to delay their planned withdrawal as the security situation remains tense and as it becomes unclear whether the UN-mandated force will be able to fully assume responsibility for the peacekeeping operation there. It is possible that the French might experience similar difficulties extricating themselves from CAR. These difficulties in rapidly deploying regional forces for such contingencies, along with the various security threats on the continent, are likely what prompted France’s chief of their defense staff, Admiral Edouard Guillaud, to suggest that it might be time to allow French forces on the continent greater latitude in their operations. 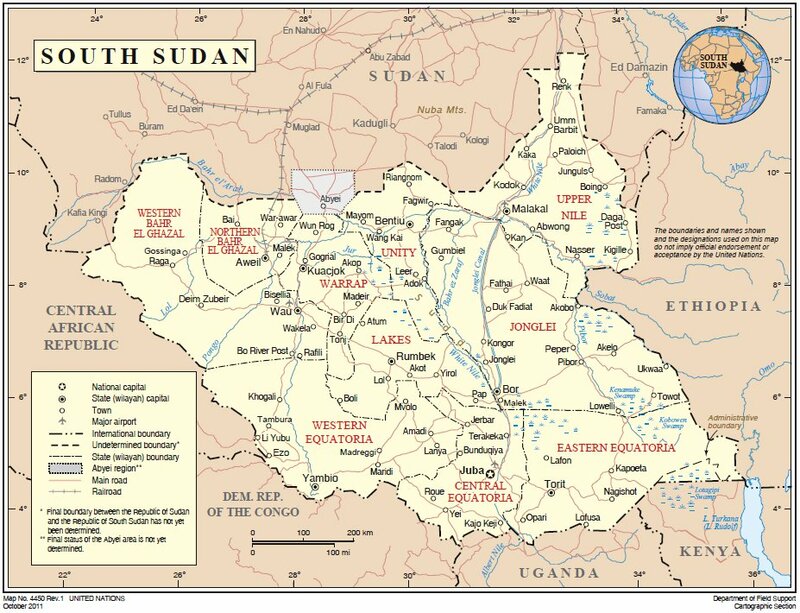 Map of South Sudan from the United Nations, dated October 2011. 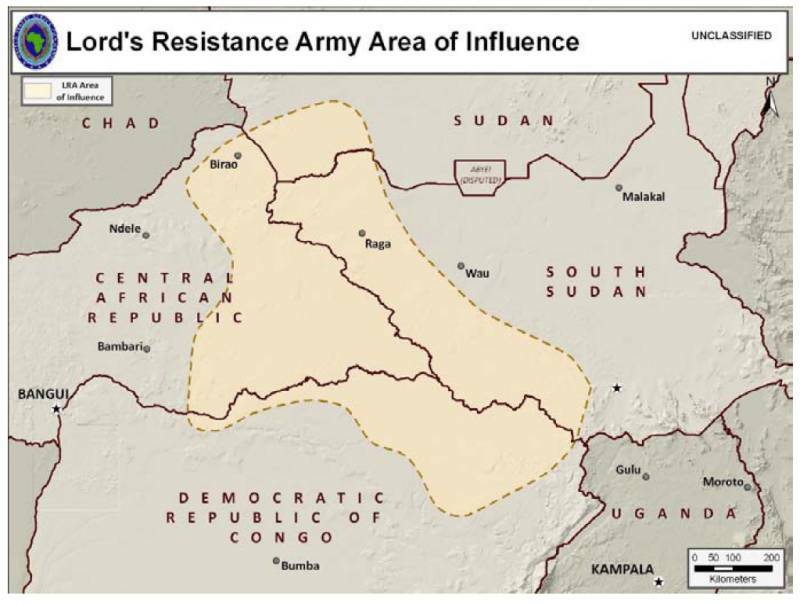 The disputed Abyei region is shown shaded grey. In addition to the decisions regarding peacekeeping in CAR, the UN Security Council also urged greater efforts against the Lord’s Resistance Army, also operating in the region, and extended the mandate of peacekeepers on the Sudan-South Sudan border. With regards to the LRA, the UNSC urged more support for the UN Regional Strategy against the group, which includes direct action, support for regional security forces, and addressing of the broader humanitarian situation in areas where the LRA operate. The US has been significantly involved in this effort as well. In Abyei, an oil-rich region disputed by Sudan and South Sudan, the mandate of UN peacekeepers has now been extended until May of 2014. The mission had already been extended for six months in May of this year, at which time the size of the UN Interim Security Force for Abyei (UNISFA) was also enlarged to just over one thousand personnel. Crises in Central African Republic and Libya have been heating up in recent weeks. Yesterday in CAR, two people were reported killed in clashes following the killing of a local magistrate and his assistant by former Seleka rebels. The Seleka rebel group seized power in March, after which the group’s leader, Michel Djotodia, named himself president and declared the group to have been dissolved. 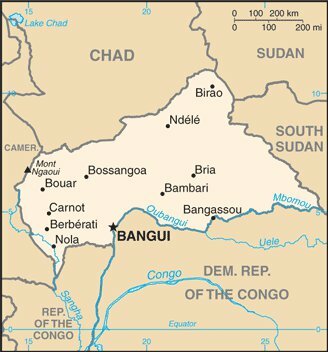 Rebels unhappy with the move, which appeared to be an attempt by Djotodia to consolidate power, continue to operate in armed gangs in the outskirts of the capital Bangui, where they go largely unchecked, committing acts of violence and petty crime by most reports. The area around the capital and the country as a whole are often described as being in a state of near anarchy. Perhaps more alarmingly, the government of Cameroon stated that on Saturday armed men from CAR had attack Cameroonian military installations, offices, and markets, looting stores and killing two before being forced by Cameroonian forces to withdraw. Reports said that the men were wearing CAR military uniforms. It is also the third time that armed men from CAR have attacked Cameroon, with the first attack in August leading to Cameroon closing the border. It is possible that this latest attack was an attempt to free Abdoulaye Miskine, the leader of a Seleka splinter group called the Democratic Front of the Central African People (FPDC), who had been arrested in Cameroon in September. The overall situation in CAR has prompted the AU to prepare a peacekeeping mission, titled MISCA, but it is unlikely to be operational before 2014. CAR was also a major focal point in the campaign against the Lord’s Resistance Army rebel group, supported by the US Operation Observant Compass. This effort has reportedly been severely degraded following the upheaval in March. Libya also continues to struggle with remnants of its civil war that led to the fall of the regime of Moammar Gadhafi. Militias continue to operate with impunity in many areas, and lacking a functional security service, the new government in the country relies heavily on them for its own security. Efforts to train a functional national military and other security service elements have so far failed to produce the desired results. 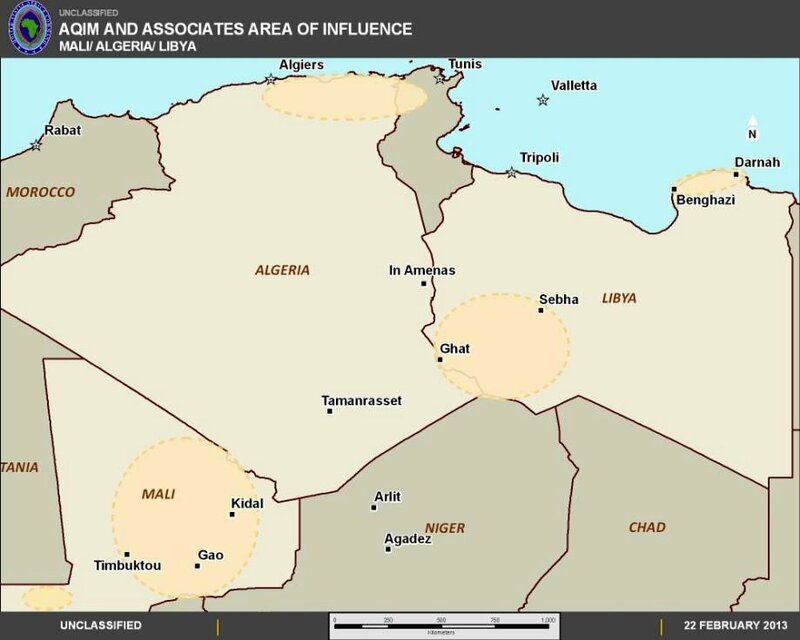 This is of great concern to the United States and European powers, given the already porous nature of Libya’s borders (a security summit held in Rabat, Morocco on the 14th, which Libya attended, had already declared a need for increased border security in the Sahel-Sahara region broadly), the limited government control in much of the country, and the rise of Al Qaeda in the Islamic Maghreb (AQIM) in the region. To give a sense of things in Libya, the country’s Deputy Intelligence Chief, Mustafa Nuh, had been abducted from the airport in Tripoli by armed militiamen yesterday, only to be released today. The country’s Prime Minister had also been briefly abducted in October, in what observers and his aides said was possibly a political plot or even an attempted coup. This latest abduction follows a protest against militias in Tripoli on Friday that turned violent as militiamen attempted to break it up, resulting in the deaths of over 40 protesters. Libya subsequently declared a state of emergency in Tripoli and protesters called a three-day general strike. The Libyan government was also reportedly working to dissolve the pro-government Revolutionary Operations Bureau militia, which had been one of the groups involved in the recent violence in Tripoli and responsible for the abduction of the Prime Minister. It remained unclear whether the government had the capability to do so, or even a real desire to do so, given the state of the country’s security forces as already mentioned. A version of this post appeared first on GlobalSecurity.org’s blog Frantic Goat. Yesterday, the Washington Post published a good article on the unreported US mission to support efforts to support a number of African partners neutralize the threat of the Lord’s Resistance Army (LRA) and its leader Joseph Kony. Though not mentioned in the Post’s piece, this operation is entitled Operation Observant Compass. The article does a good job pointing out the nuances of the effort, Codebook: Africa’s new profile and GlobalSecurity.org’s existing profile both provide important added granularity. 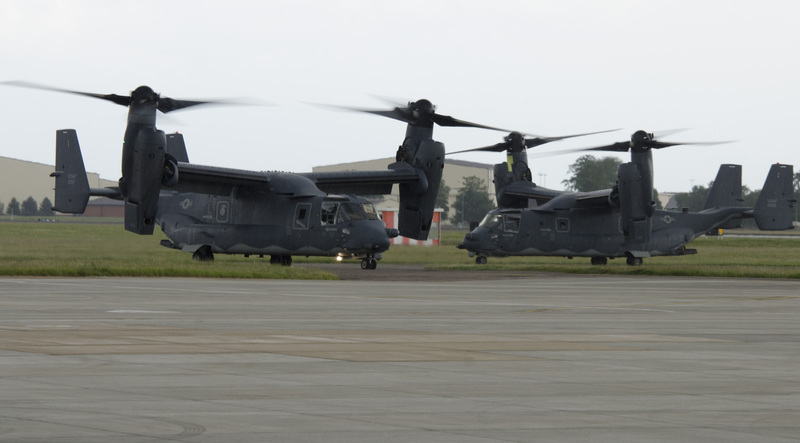 For instance, the request to deploy CV-22B aircraft, likely from assets recently deployed to Europe, is part of an ongoing effort by the US mission to expand the ability of regional forces to respond to new intelligence. Increased mobility and intelligence gathering capability is really what the US brings to the counter-LRA effort (abbreviated C-LRA). The CV-22B aircraft would provide an immediate response to capabilities the US is currently in the process of sourcing through the private sector. In July of this year, Request for Information for both dedicated rotary-wing and fixed-wing support were put out, and these just recently turned into active solicitations for bids. Being able to rapidly shuttle personnel and supplies between the forward operating locations supporting Observant Compass is critical to the effort, as is noted in the Post article. This gets into another point not elaborated on in that article. 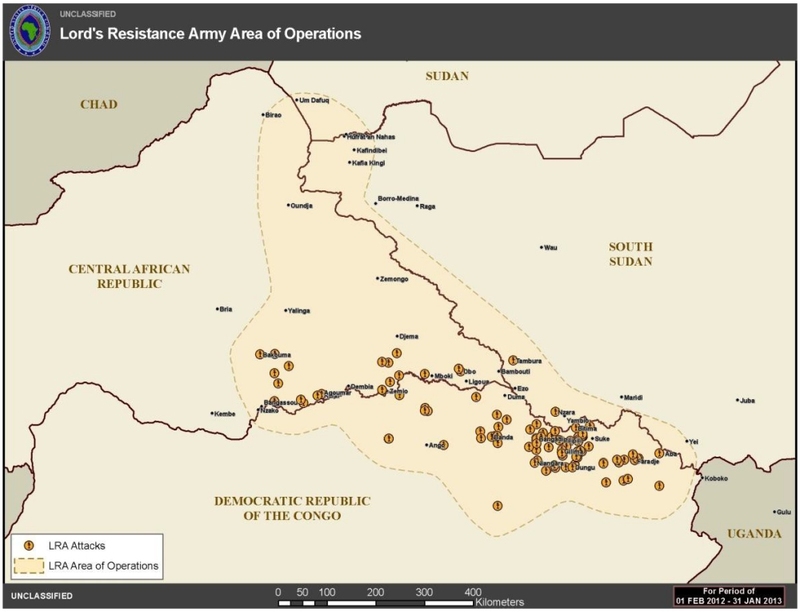 The operating location in Obo, Central Africa Republic had been a critical element of the operation. While the article notes that CAR essentially became a no-go area after the coup earlier this year, what is left out is that CAR was home to the C-LRA Operations Fusion Center (COFC), and had been the center of gravity for US support to the effort. After the coup, the US looked to make a shift into Nzara in South Sudan, another known operating location for this mission. This was evidenced by the fact that on 1 May 2013, the US Army issued a solicitation for a contract to provide up to 140,000 liters per month of JET-A aviation fuel and associated refueling services for the support of C-145 or comparable aircraft at Nzara Landing Zone, Republic of South Sudan. The C-145 is the US designation, recently applied, to the Polish M-28 Skytruck, which have been part of US Special Operations Command’s Non-Standard Aviation fleet and which are currently among the few air assets available to the C-LRA effort.